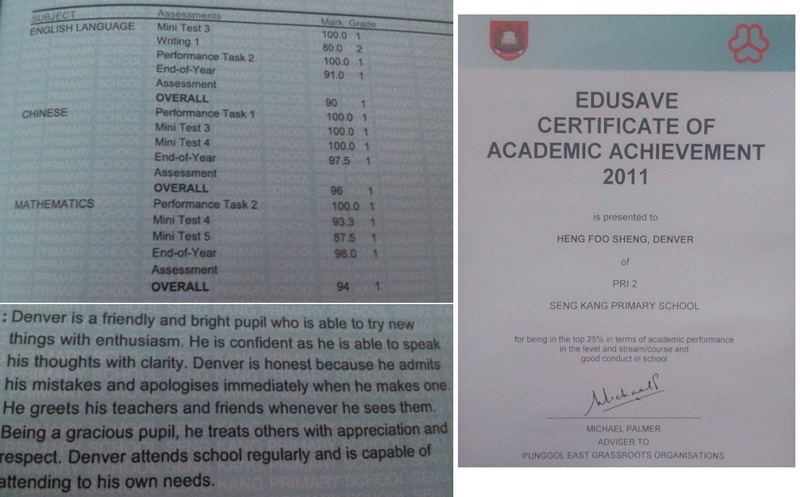 Denver had a good academic year for 2011. He is Second position in class and we are happy for him. This year, there are more mini-tests and performance tasks for every subject, making it more challenging. Denver needs to be consistent with his studies and he managed to do better for Semester 2. Christmas is around the corner and Hubby bought the family an early Christmas present. 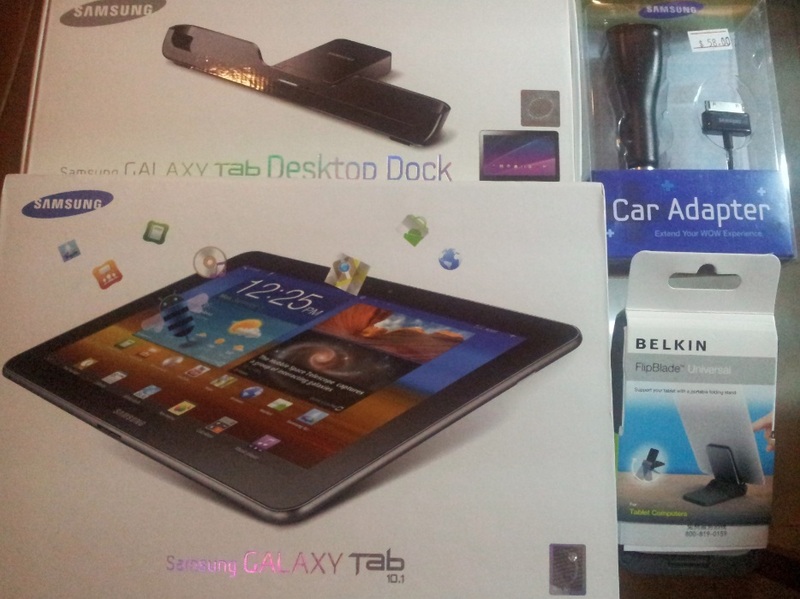 Check out our latest new addition : Samsung Galaxy Tab 10.1, 64G that he bought at Sitex 2011 today. It comes with 3 free gifts including a desktop dock, a car adapter and a portable folding stand. Denver & Gladys are already hooking on to the new toy and temporary forsaken the PC, Kinect and PS3. Last Sunday, we had dinner at Ubin First Stop Resturant (located in the heart of Changi Village) in celebration of my father-in-law's birthday. We ordered sweet & sour pork, yam basket, deep fried baby squid, scallop with broccoli, steam prawns, fried noodles and braised fish maw. The food taste good and I enjoyed the sweet & sour pork most. The yam ring is nice too. The rest of the dishes are ok but didn't leave too much of an impression on me. We sat in the air-conditioned section and the staff are polite, greeting us as we enter and leave. One of them even asked if the air-condition was too cold for my mil. They attended to our needs and service with a smile. The overall experience was good and it has been an enjoyable dinner for all of us. The portion of the food is good and our tummies are full. 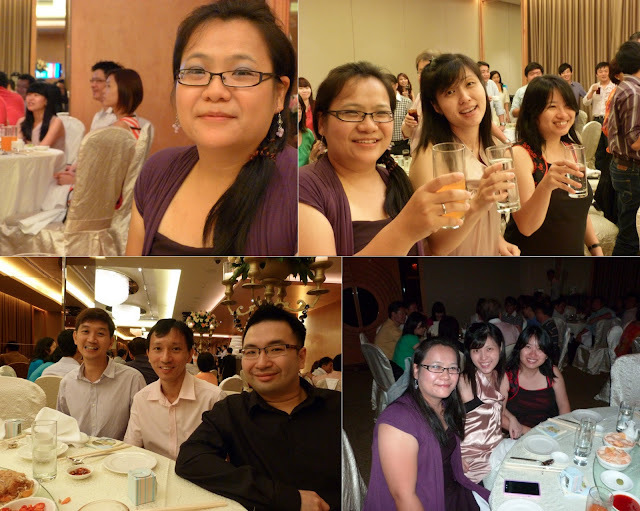 We paid about $200 for the dinner including the drinks and it is about $20 per head (6 adults, 4 children). 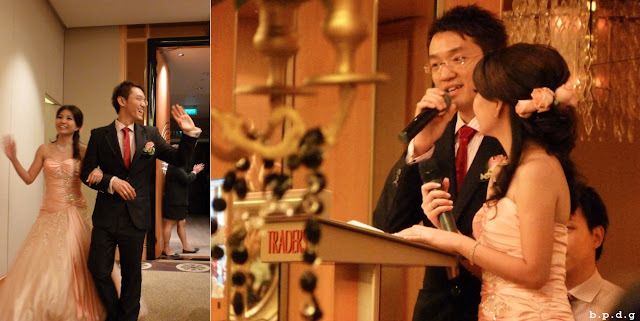 Although it may not be very value for money, the plus points are the ambience of the surrounding, setting within Changi Village and the service of the staff. We have been engaging in cycling activities frequently and its time to equipped ourselves with safety helmets. Yesterday, Hubby bought 3 Prowell helmets from a shop near Changi Village which we'll be putting on during our future rides. As hubby always quote: Safety comes first. Hello November! Exams are over and it's play time! ^_^ I have not been spending as much time and attention on Gladys for the past few weeks (as I was busy coaching Denver) and we have not been borrowing books from the library last month! Luckily, there are a couple of storybooks at home to keep Gladys occupied where she tries to read them on her own whenever she is in the mood. Our cheeky little girl also never fails to amuse me with her little imagination. Using a bubble gun as 'hair dryer', toy scissor, combs and a ruler (I wonder what that is), she started acting as a hair dresser. Daddy is her faithful customer, not complaining about how messy or tidy his hair is getting. Its so hilarious to see her in action! Our dear friend definitely slimmed down a lot and looked good in his suit. His bride is gorgeous and they are a cute pair together. Once again, I get to meet up with my dearies again - fun and lovable friends whom I missed so much! Last month I posted a photo of Denver with Walter and we were so lucky to win a Walter Stationery set! ^_^ The prize was delivered today and it is so CUTE! THANK YOU SO MUCH! Read more about our adventures with Walter here.